There’s been a “12 Reasons you should watch roller derby” buzzfeed article floating around. Guess what, folks? Some of it they got right! Some of it they got eeeehhhhh…..
How many of your friends watch roller derby? If the answer is “many”, then maybe there is something to this. Maybe they have an in on something. If your answer is “none”, you can introduce your circle to the fast-growing sport on the planet. How cool does that make you look? Roller derby is a completely unique, high-impact sport that is totally inclusive of age, gender, nationality, etc. It is an international phenomenon that grows every year. In 2018, the third Roller Derby World Cup took place in Manchester, England, hosting 38 countries, including the Czech Republic, Korea, and West Indies. Barcelona is the stage for the third Men’s Roller Derby World Cup in April 2018, where 24 teams, including Japan, Chile, and Denmark will compete. The speed, power, and finesse on 8 wheels is enough to keep you entertained, even if your local team isn’t allowed to sell beer! Texas took on Missouri in the men’s championship of State Wars in December 2014, with hard hits and fast feet. 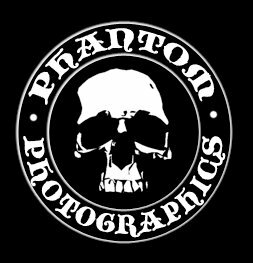 Photo by Phantom Photographics. These are athletes. Teams practice between two and six times a week, and the participants work out beyond their practice limits. Yoga, crossfit, powerlifting, Spartan Races, aerial silks… the cross-training of roller derby knows no limits. Impressed by your favorite hockey player doing fancy footwork and scoring points? Wait until you see Lil Slinky of Stockholm duck and dance through the pack effortlessly. Get hyped up by your favorite safety playing all over the field defense? You will love seeing Alli Kat Scratch of the Tampa Tantrums crush the hopes and dreams of her opponents. The feats of agility and pure strength are display at any game (whether it’s the 500-person strong Rose City Rollers or 20 strong Twin City Terrors). PHDiesel makes a lap for Team Florida at State Wars. Photo by Phantom Photographics. 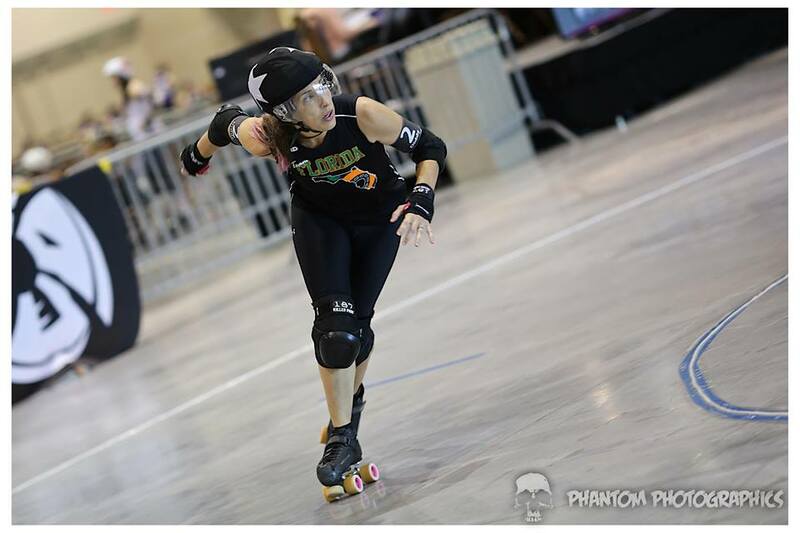 Just like in any other mainstream sport, roller derby has the “any given Sunday” mantra. The Oly Rollers came out of nowhere in their first season as a WFTDA* team, and took the Hydra as the underdog. 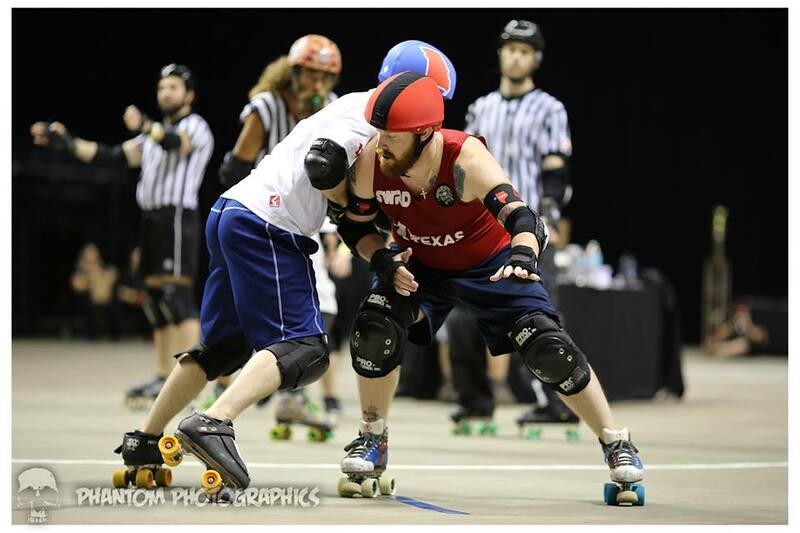 It is possible for any team to sweat and bleed their way to beating a giant of roller derby. Tournament play has seen a lot of international teams come in and shock the world with their undeniable strength. Teams from the United Kingdom, Germany, and Australia have been doing damage in WFTDA and MRDA** rankings the past few years. An American movie date can easily breach $75 (IMAX anyone? ), and if you’re counting dinner, you can bet on a night breaking $100. Yes, there are some games that offer beer or full entrees (thank you Charm City). Yes, buying merch from Tampa’s Wrecking Mall might up your final cost for the night. However, most teams still play in roller rinks with small concessions and bake sales. A derby date can easily stay under $30! Derby encourages interaction and conversation, whether you are with one person or a group, and it’s way better than sitting awkwardly in a dark theatre with your Tinder date. Bring them to derby! The roller derby community is a very inclusive place; if it’s a tailgate kind of game (you can check with the league on their event page ahead of time), get a group together and hang out in the parking lot. My first team was notorious for cookouts and beer trading in the parking lot of the Olympic Skating Center before games. Groups often mix and mingle. Don’t know what’s going on during the game? Ask the people beside you (or look for someone with a “Ask me about derby” sign). Regardless of the side you are rooting for, everyone is super friendly and inclusive. You will make friends in the fans, the refs, and the league members themselves. Labels and judgement have no place in our house, so come one, come all! How many sports teams offer one-on-one time with their athletes? Every game and after party is a meet and greet, and leagues host events throughout the year where you can meet your favorite skaters. You can catch up with league scores from those directly involved, and can really feel like a part of the organization even as a fan. Websites like Flat Track Stats even gives you chance to follow how your favorite travel teams are doing, even if the team hasn’t received official sanctioning ranking. 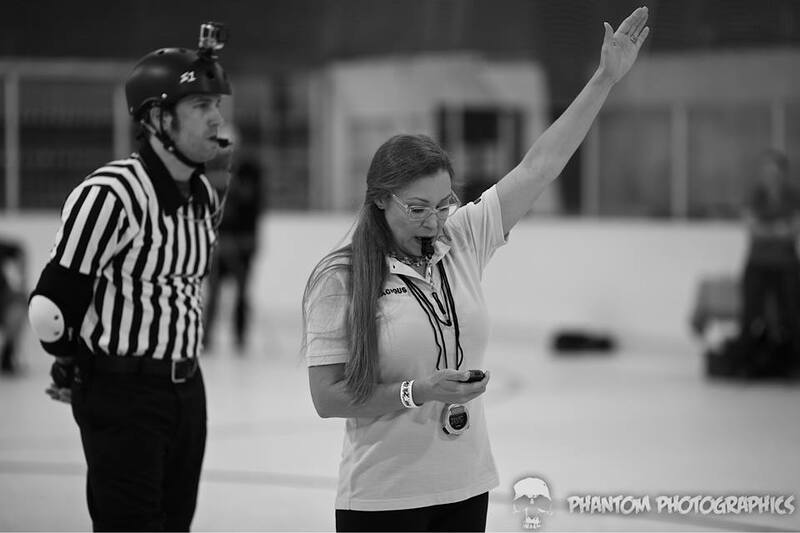 With the popularity of tournaments growing in roller derby, keep your eyes peeled to your team’s social media, it’s likely their travel games will be live streamed at some point. Then you can even watch them from home. Junior derby is gaining momentum! Your son or daughter can play, or you can watch the future of derby at local events. Photo by Phantom Photographics. Mainstream sports are chuck full of big characters, and roller derby does not disappoint. Be warned: It is not make-up and fishnets. It is the heart, soul, blood and tears that they pour into their work that make these athletes into giants and idols. Big characters in derby are the big hits, the big jams, and acrobats on skates. Whether your team matches in black compression pants, or dons old school mis-matched DerbySkinz and stickers on helmets, you will see the personalities on and off skates. It’s not just the skaters that make the game exciting: The announcers of roller derby are some of the most colorful characters you can imagine. Plus they are super knowledgeable about the game, so make friends with them. Skaters, refs, NSOs***, announcers, medics, and coaches have to come from somewhere. Often, they come from the audience. 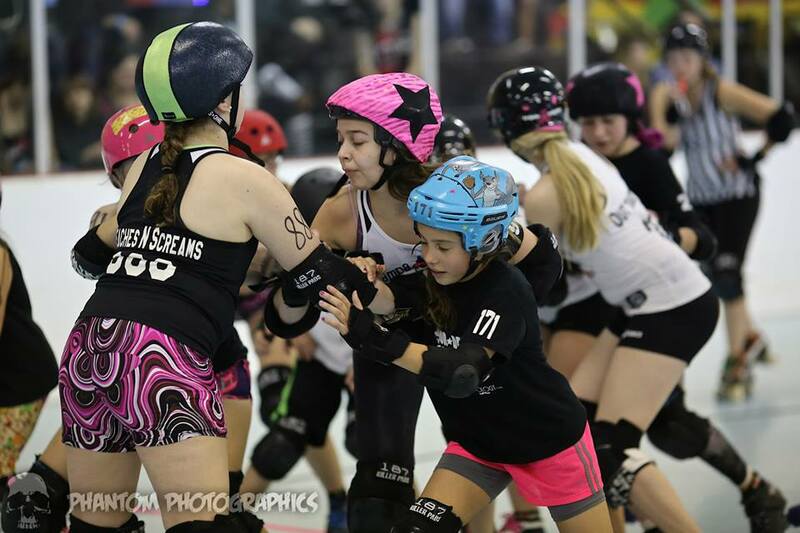 Fans, friends of the fans, and the munchkins of fans are the future of roller derby. Even if you never end up skating, your support is vital to your league. 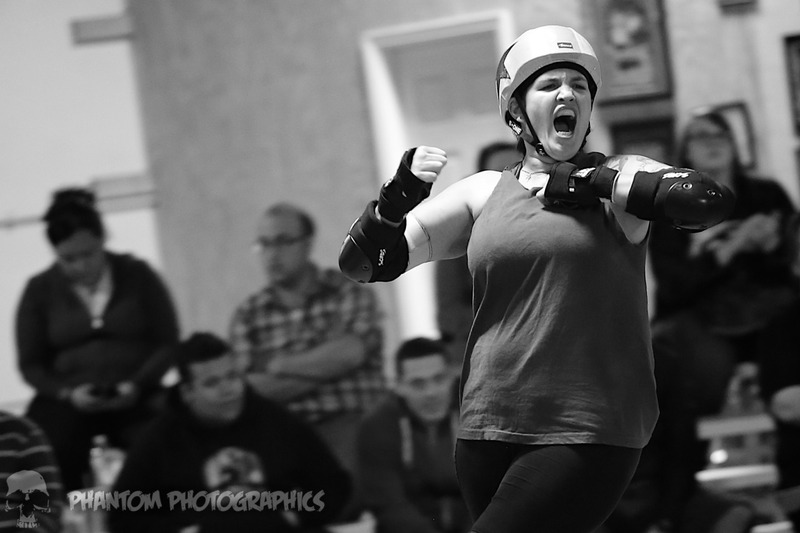 Being a fan and posting about the games, inviting your friends to the events, watching WFTDA.tv, watching the YouTube archives of bouts… it spreads the goodwill of derby to people outside of the community who may never have heard of derby before. Or, maybe they went to a game three years ago and “have been meaning to return”. Maybe you can be the one to remind them to spend a Saturday night at the rink. Derby is always looking for more officials to help at games. Skates not required! Photo by Phantom Photographics. The excitement is infectious. Regardless of your familiarity with the sport, the skill and strength of roller derby pulls you in. 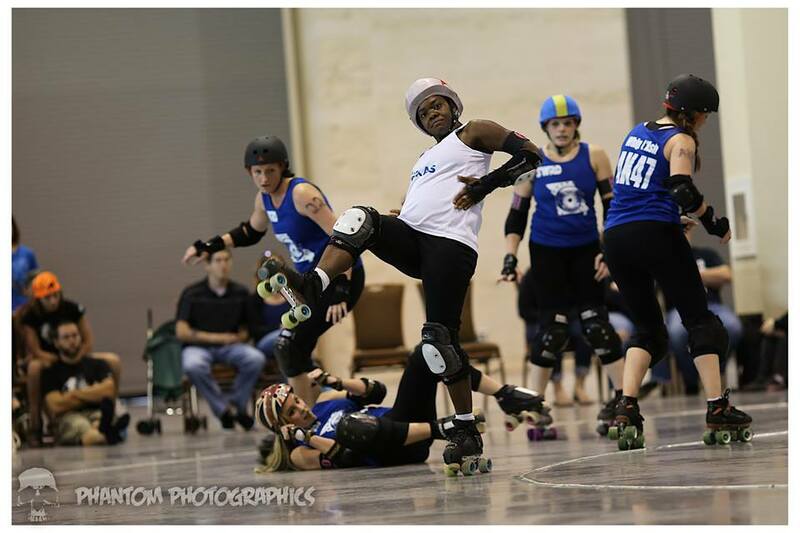 It is impossible to resist cheering as your jammer breaks through the pack. Try not to flinch when your team knocks an apex jump out of the air. The more you learn about your league, the more fun you will have each game. BUT the only way to learn more is to actually go! Calling it off! Photo by Phantom Photographics. If you have been pushing off attending a roller derby bout, it’s time to get off of Facebook and head to the rink. Friends, excitement, and real social networks await you. Youtube offers some great fan tutorials, or wait until you get there and inquirein person. Spend some time at your local games. You’ll be cheering more than at a Marvel movie, you’ll get closer to the action than nosebleed seats at Lincoln Financial, and you will build relationships unlike anything else you have experienced before.